This contest has ended. Winner announced shortly! Fill out the form below with all of the required details. 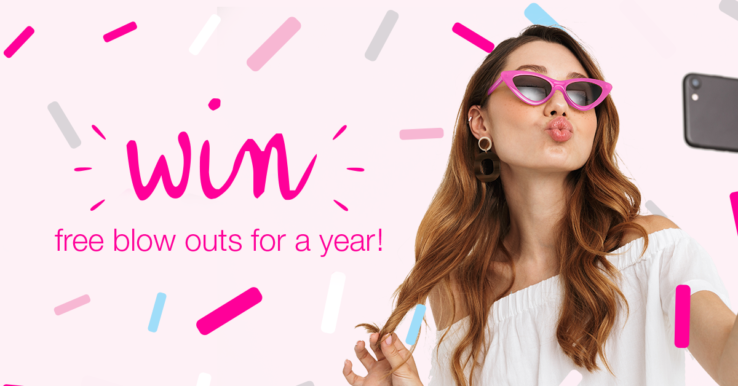 The prize consists of a maximum of 24 blow outs per year (2 blow outs per month) that can be redeemed at any Blo location in the country you reside in. *Maximum of 24 blow outs per year that can be redeemed at any Blo location in the country you reside in. Valid from Sept 10, 2018 – Sept 10, 2019. No purchase necessary. Winner picked at random, based on completing all the necessary steps. This promotion is not endorsed by Instagram. Odds of winning depend on the number of entries. Contest ends on August 31, 2018. Winner will be picked by September 5, 2018. Prize valued at: $1080. Full contest details here.